By joining, you are supporting the ONLY organization that focuses solely on Florida’s retail industry. And your membership gives you an opportunity to help determine what regulation changes would help ensure your business is successful. Additionally, your membership in our Council creates buying power and voice power by connecting you with other business leaders like yourself in the beauty industry. The Beauty Industry Council meets three times a year, giving our members the opportunity to conduct business, share best practices, develop the industry’s message and agenda, and network with one another. Membership entitles you to receive exclusive information on the issues and events that are important to the beauty industry via regular emails, as well as a BIC staff member available to help you with issues or answer questions you may have. 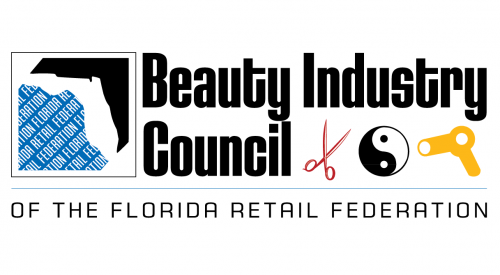 Joining the Beauty Industry Council is a smart investment if your profession involves a state license issued by the Florida Department of Business and Professional Regulation. We are the industry experts. As a member of the Beauty Industry Council, you can call our staff any time to answer your questions. We can help you with determining if you have the appropriate number of course hours, have submitted a complete application with the appropriate fees, passed the required examination, and have completed the required educational hours. Make sure to visit our Licensing & Regulation page to learn more about how you can get your career started as well as find out how to get help with your license! If you are seeking to broaden your involvement by serving on official boards, committees, or commissions, then BIC can be the perfect platform to help you advance your personal and professional goals. The Beauty Industry Council is committed to protecting and advancing the interests of the beauty industry…because beauty matters. HIV Certification and Continuing Education Programs. Trusted and Experienced Government Representation – We can provide effective and impactful representation in front of those who make the policies and laws that shape the beauty industry. State Agency Intervention – The Council will intervene and advocate for salons and spas, schools, and companies of the beauty industry in front of agencies such as the Department of Business and Professional Regulation (DBPR) and the Department of Revenue (DOR), including the expediting of licenses. Get money back from your workers’ compensation insurance policy. Council members who choose our workers’ compensation provider receive additional dividends and some may receive discounts on their membership dues. Discounted Credit Card Processing – We offer deep discounts for members who use Florida Bankcard Services for their credit and debit card processing. Discounted Shipping – Discounted FedEx and truck shipping for those choosing to use our PartnerShip program.